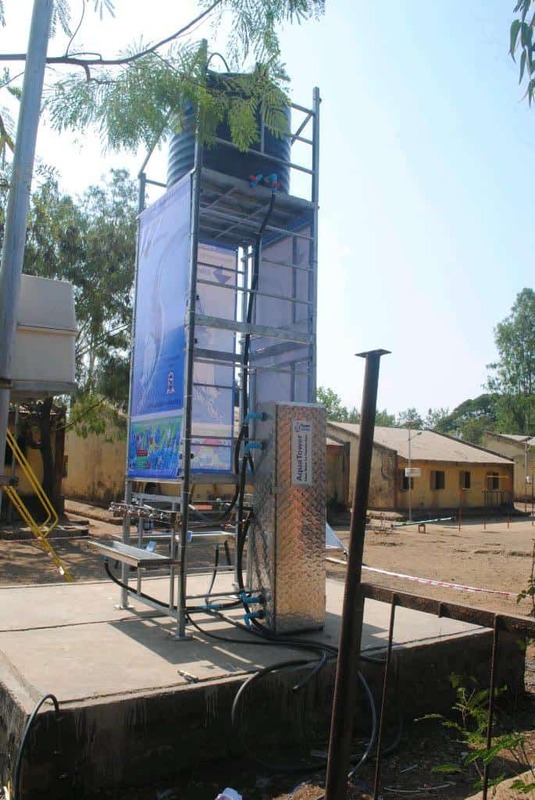 Edelman [+], the world’s largest public relations firm in collaboration with Planet Water[+], a US-based non-profit organization, has launched an initiative to provide clean, safe water to Guhir village in the Thane district of India. Edelman volunteers helped Planet Water in setting up an Aqua Tower in the Government Madhyamik Ashram School, Guhir, Thane. This program will address safe drinking water needs of 900 children. This initiative will help children and surrounding communities gain access to clean and safe water. The project includes the implementation of Planet Water’s hygiene education program, which teaches children on the importance of germs and how they spread along with the five steps of hand washing. Edelman is proud to join hands with Planet Water to provide safe and clean drinking water for the citizens of Guhir village. As part of our social responsibility policy, Edelman is committed to social initiatives aimed for underserved communities and we hope our contribution to the Guhir project will help alleviate water-borne diseases and lead to improved health levels. Each Aqua Tower produces up to 10,000 liters of clean water per day and supports the daily drinking water requirements of 1,000 people. The project focuses on schools in rural villages with the installation of community-based water filtration systems, hand washing infrastructure, and an education program to teach children life-saving aspects of water-health and hygiene. Mark Steele, Founder & CEO, Planet Water, said, “Our goal is to alleviate water poverty among disadvantaged communities through sustainable, clean water solutions, and education programs on water-health and hygiene. We are proud to partner with Edelman to address this critical need through providing access to safe water for families in Guhir”. Reports published by World Health Organization (WHO) and The United Nations Children’s Fund (UNICEF) show that 884 million people in the world do not have access to safe drinking water, 55% (482 million) of whom live in Asia. Each year, 3.6 million people die of water-related diseases. Unsafe drinking water is a major cause of diarrhea, which is the second biggest cause of death among children, with more than 4,000 children under the age of five dying each day. According to the United Nations (UN), hand washing with soap at critical times can reduce the incidence of diarrhea by up to 47%. Previous Help Protect Canada’s Killer Whales!